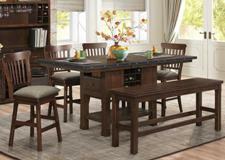 Welcome to our Dining Room Related Catalogs! - This category page serves as a guide to everything we carry related to dining. Here you will find our main pages to our Casual Dining, Counter Height Dining, Formal Dining and Stools / Pub Chairs. Transform your kitchen or dining room area into a stylish gathering space with our casual dining table sets. Choose the right look for your home from our wide selection of styles! Whether you're looking to update the size of your family gathering or wanting extra seating, our counter height dining selections will deliver that special option for you! 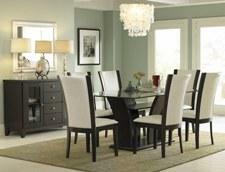 A new formal dining room set will enhance the look of your entire home decor. Whether you prefer contemporary, transitional or modern styles, our selection has plenty to offer! 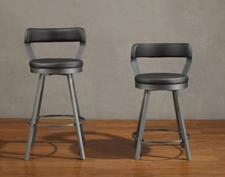 Stools are a fun and unique way to add a little color to your casual dining or recreation room. Offered in a variety of colors, shapes, sizes and materials.